SKOPJE/ATHENS (Reuters) - Macedonia's president said on Wednesday he would not sign a landmark deal reached with Greece on changing his country's name, dashing hopes of a swift end to a diplomatic dispute that has blocked Skopje's bid to join the European Union and NATO. Under the deal, Macedonia would become formally known as 'the Republic of Severna (Northern) Macedonia'. It is currently known officially at the United Nations as the 'Former Yugoslav Republic of Macedonia'. Athens has long objected to its northern neighbour's use of the name 'Macedonia', saying it implies territorial claims on a northern Greek province of that name and also amounts to appropriation of Greece's ancient cultural heritage. "My position is final and I will not yield to any pressure, blackmail or threats. I will not support or sign such a damaging agreement," Macedonian President Gjorge Ivanov told a news conference in Skopje. Ivanov, who is backed by the nationalist opposition VMRO-DPMNE, can veto the deal. 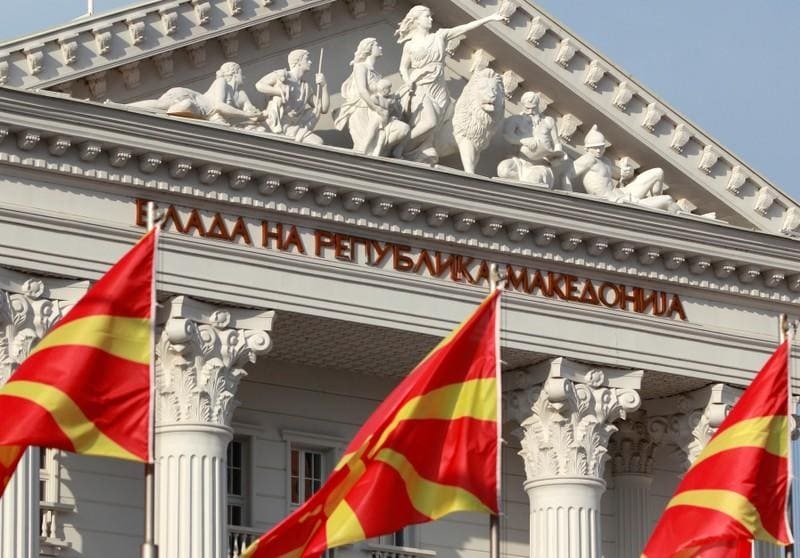 Macedonia's centre-left government also needs a two-thirds majority to win parliamentary approval and this would require the backing of VMRO-DPMNE, which is strongly opposed to the accord. The president also said Macedonia's possible future membership of the EU and NATO was not sufficient excuse to sign such a "bad agreement". A source in Greece's main opposition party, New Democracy, said it planned to submit a motion of no-confidence in the Tsipras government over the deal. New Democracy leader Kyriakos Mitsotakis called the Macedonia deal "deeply problematic" because he said most Greeks were against it and Tsipras lacked the authority to sign it. In a front-page editorial, conservative daily Eleftheros Typos called the agreement "the surrender of the Macedonian identity and language", while the centre-right Kathimerini newspaper referred to "a deal with gaps and question marks". "We have lost, we retreated," said 40-year old Stamatia Valtadorou, a private sector employee. "It's one thing to sell off a part of yourself for a bailout and a different thing to sell off your land, it hurts deeply."